It is amazing how an ordinary object can unlock memories and strengthen connection with a loved one. Weed-eating in the backyard a couple of days ago, Greg asked me about a plant that was growing near the back steps. He didn’t think it looked like a weed. I glanced at it and agreed it looked more like a flower, or a vining plant, at least. He left that small area alone and moved on. This morning I wondered about the mystery plant and went outside to examine it more closely. It had grown in the last two days and I recognized it immediately. It is a watermelon plant! I love watermelon. I have several plants growing in my raised bed garden. 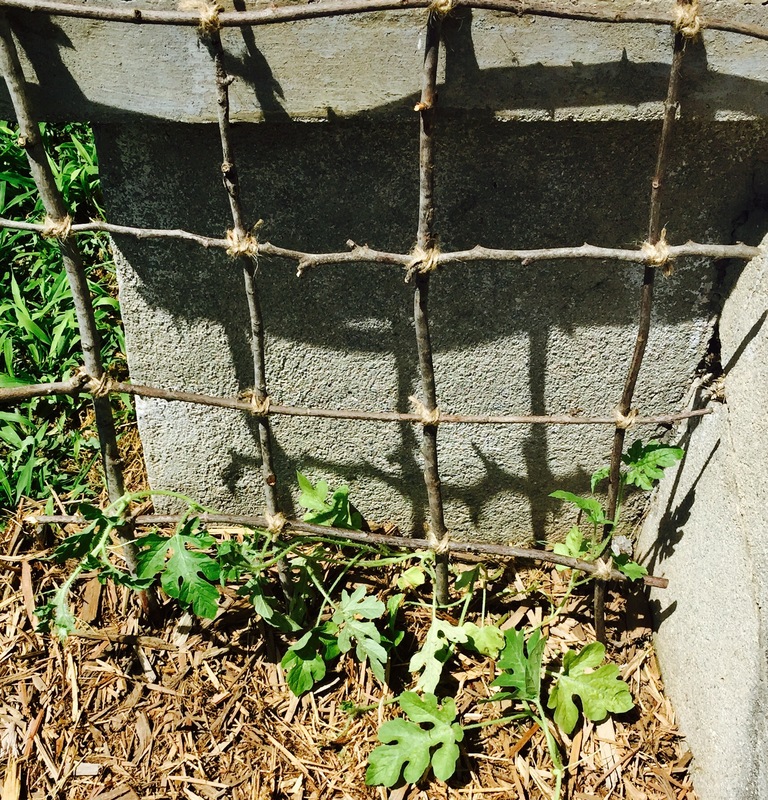 This little vine, however, is a volunteer plant, meaning I didn’t plant it…not intentionally anyway. Pop holding my grandson, Dayan. As a wee girl, I believed Pop. I was afraid to swallow those pesky little black and white seeds, carefully picking them out of my melon. 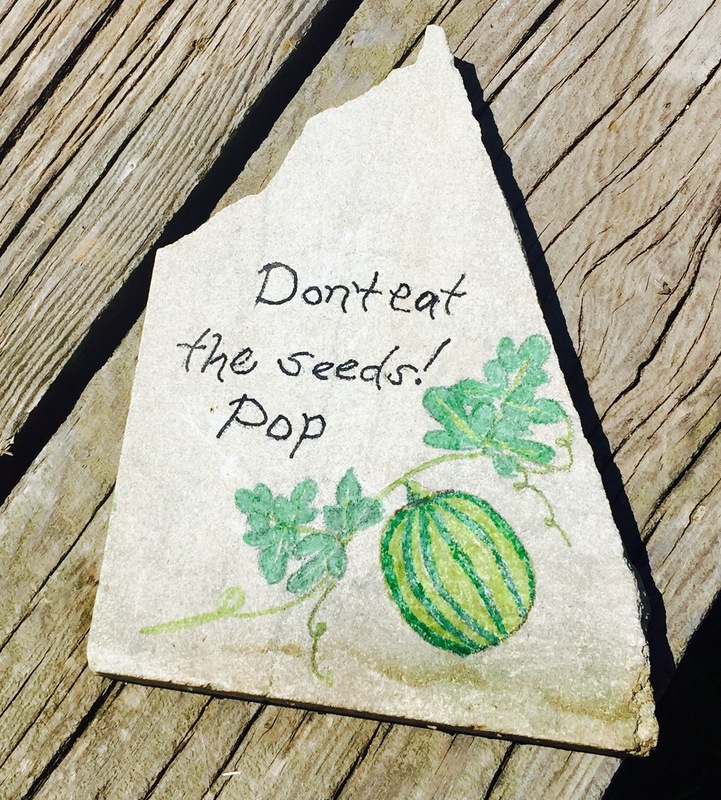 If a seed accidentally got in my mouth, I spit it into Pop’s flower bed. Every summer, volunteer watermelon plants would appear among the flowers. Pop didn’t mind. He loved growing things. 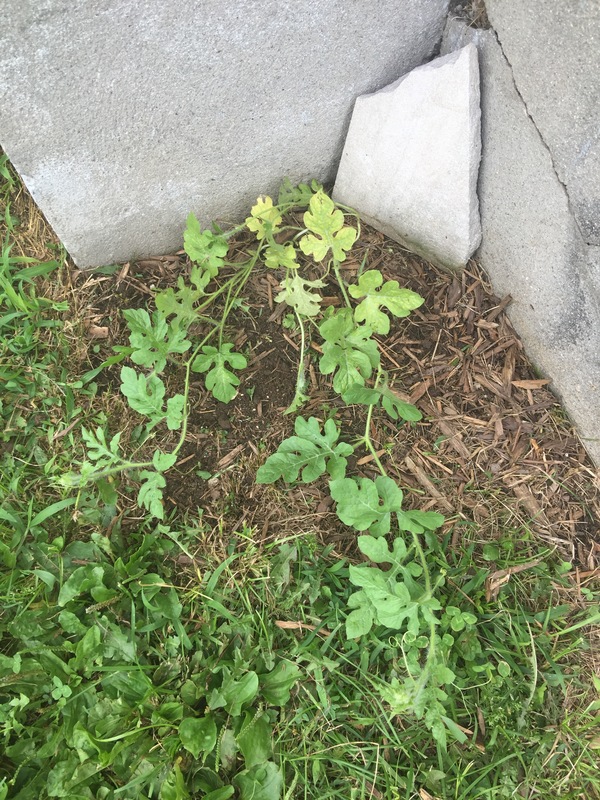 The watermelon plants were allowed to remain. Although I no longer believe that a watermelon will grow in my belly if I swallow a seed, I still tend to spit them out. Which, I am sure, is how that little volunteer plant appeared next to the steps. Last summer I sat on my back stoop many times, enjoying a slice of watermelon and the garden views. A seed that I spat out last summer sprouted. I cleared away the grasses growing around the plant, lessening the competition for nutrients and water. And then I mulched heavily around the base of the vine. Studying my new plant, I felt very tender toward it. Memories of Pop rose, of those balmy summer evenings eating watermelon on the front porch, and also of my grandfather’s love of gardening. Inspiration arrived, joining the feelings of tenderness and nostalgia. This little vine is special to me. I decided to treat it with great care. 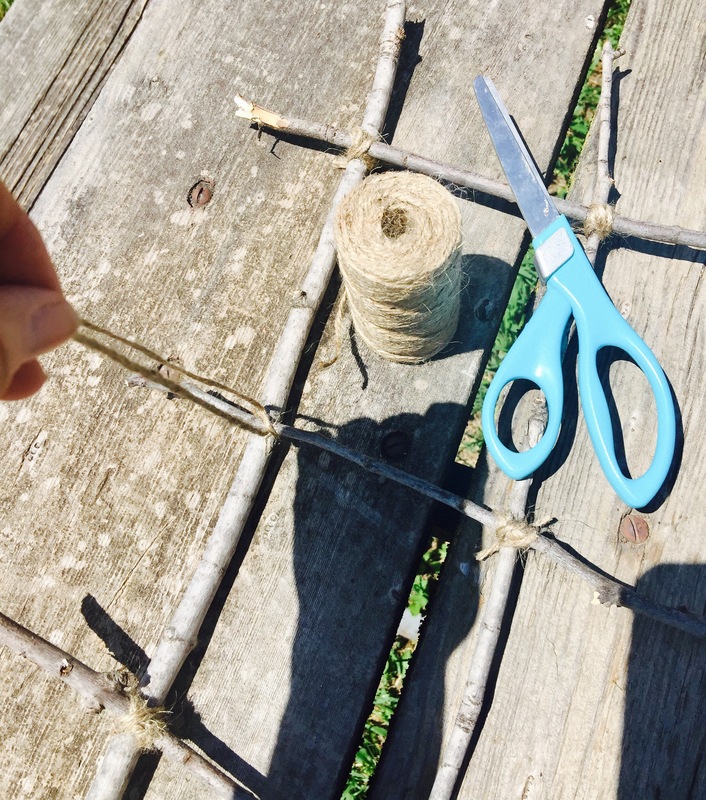 Using garden twine, and twigs left over from Maple Tree, whose gifts continue to be so useful, I created a little trellis for the plant. 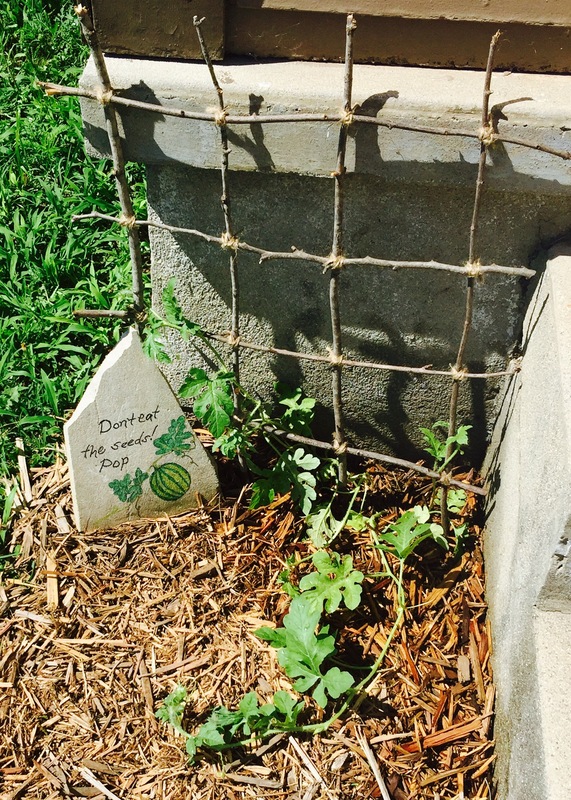 The twig trellis is decorative really, yet I had so much fun crafting it, and the young plant looks adorable twined around it. 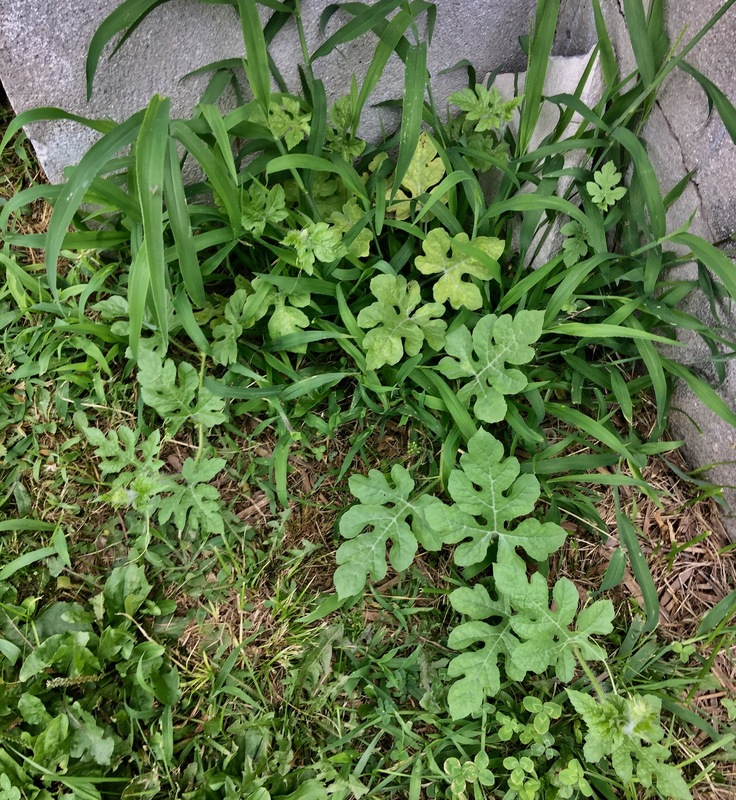 When I cleared away the grass crowding the vine, I uncovered a small triangular slab of concrete resting against the steps. I had another creative idea. Using colorful art markers, I created a memorial for Pop by including his humorous words. The garden plaque reminds me of my grandfather, and those magical summer days of my childhood. It also reminds me that there is still magic to be found in my life, if I just stay open and know where to look. I don’t know if this little watermelon vine will produce fruit. I remember that only one small watermelon ever appeared from the many volunteer plants that grew in the flower bed. That’s okay. Pop allowed the vines to thrive and I will do the same, regardless of the outcome. 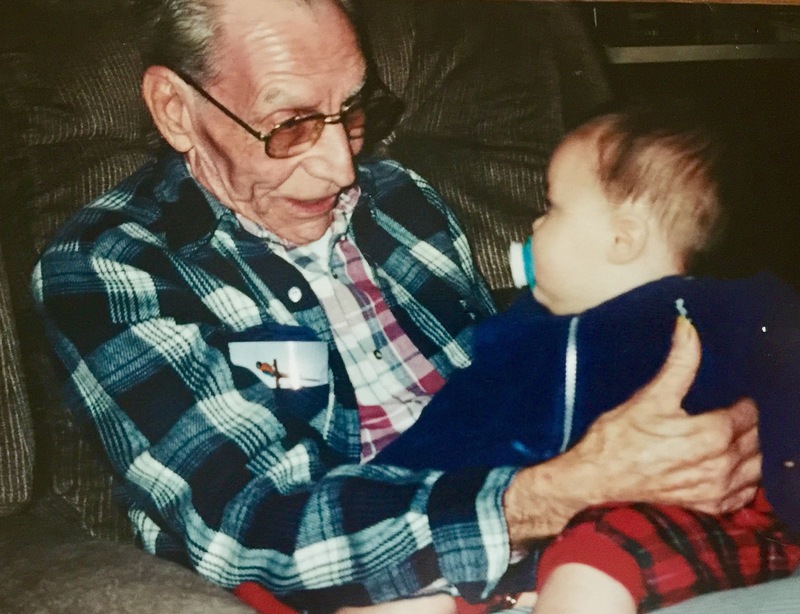 I am grateful for my grandfather, and for the plant that stirred such memories today. 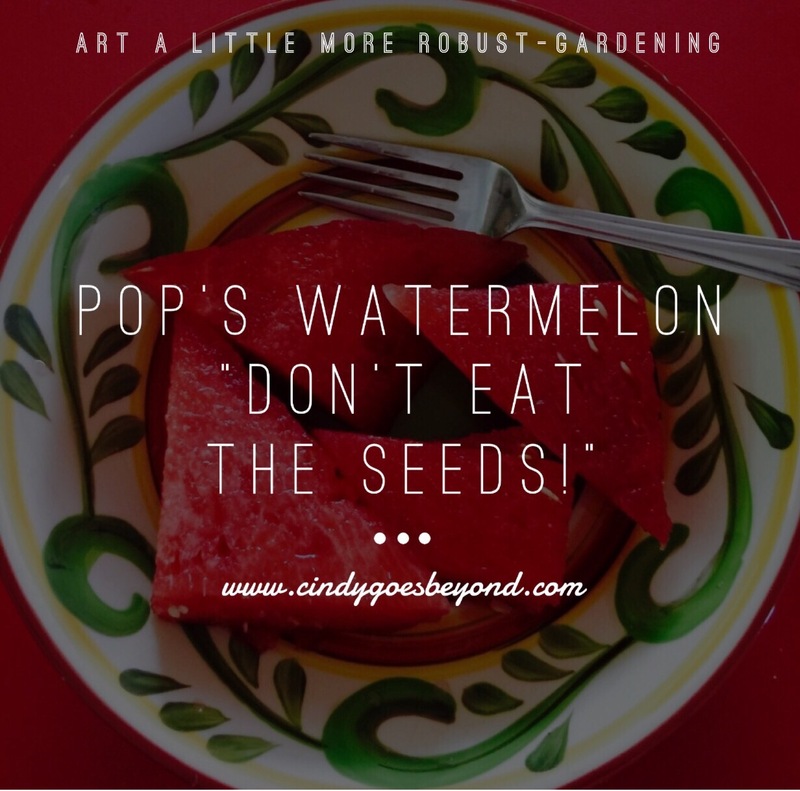 Pop would be pleased that I still spit out watermelon seeds, and that I love gardening as much as he did. This plant is for him. It’s Pop’s watermelon.